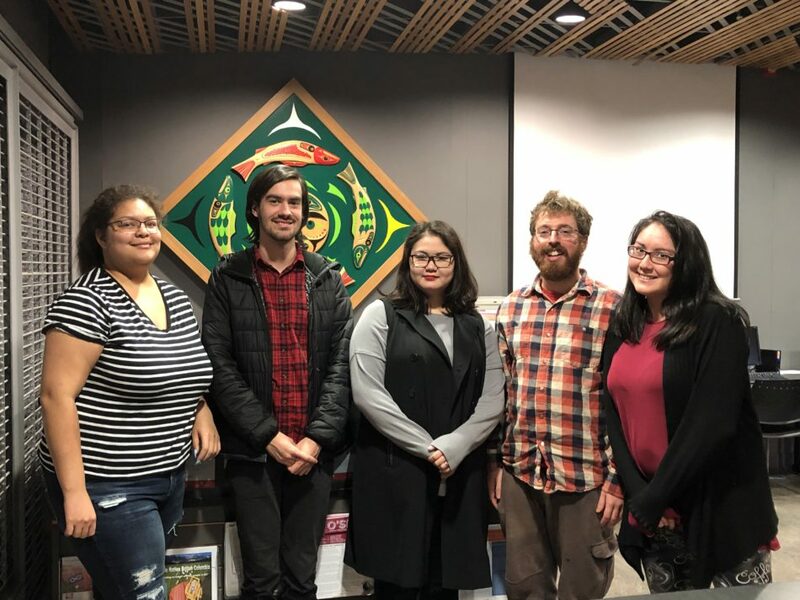 Kwantlen Polytechnic University’s Indigenous Student Council held its first meeting on Jan. 18. Among the items on the agenda were initiatives to get more Indigenous students at KPU involved in the council and coming up with event ideas for Indigenous Awareness Month in June. The Indigenous Student Council is the brainchild of Samantha Jack, a third-year political science student. She believes that, because Indigenous students are already at the school all the time, “it just made more sense” to have a student council on campus. The idea came to her while she was attending an Indigenous Advisory Committee meeting in December. There, leaders from the nations whose land KPU resides on, as well as representatives from the local school districts, discussed ways to indigenize KPU. The goal of the council is to help KPU function at the same level as the University of British Columbia or Simon Fraser University “because they have such a great support network” for their Indigenous students, according to Jack. Right now at the university, there isn’t a platform for “Indigenous students to voice their concerns or voice their needs,” she says. Jack believes that the best way to create positive change for Indigenous students is to give them a platform for their voices to be heard, to help them create meaningful change within the Kwantlen community, and to work with the Indigenous Advisory Committee. “I think that this is so instrumental to the future of Kwantlen and their pledge to Indigenization and their honouring of the truth and reconciliation,” says Jack. Other students involved include Joseph Thorpe, the queer representative and president of the Kwantlen Student Association, and Sarah Strachan, its Indigenous representative. Both Strachan and Thorpe have shown excitement about the new council and share Jack’s desire for a platform where Indigenous students can voice their needs and concerns. The new organization’s first order of business is to raise awareness about the Indigenous Student Council by putting up posters at all campuses and displaying a message on Eagle Eye, the programming on television screens across KPU. They’re hoping to attract Indigenous students who may not have self-identified as Indigenous with the school yet. Those interested in self-identifying can do so through the Gathering Place in the Main building on the Surrey campus. The council’s second order of business is to hold a protest on the Surrey campus in the coming weeks to support the land rights and title of the Unist’ot’en and Wet’suwet’en people who were forcibly removed from their traditional land following the dismantling of a gated checkpoint by the B.C. RCMP on Jan. 7. The police arrested 14 people that day for violating an injunction which would allow Coastal Gaslink to start working on its natural gas pipeline. Another topic of discussion raised at the Indigenous Student Council meeting was which events could be held in June during Indigenous Awareness Month. The council also talked about offering better training for instructors who are going to teach courses that have Indigenous-related content. This suggestion arose from an uncomfortable situation Jack experienced with a history professor who suggested that Indigenous issues don’t matter because Indigenous people represent two per cent of the Canadian population. The Indigenous Student Council will be meeting every three weeks for two hours. Their next meeting will be on Feb. 8 at 1:30 pm in the Gathering Place on the Surrey campus. All Indigenous students are welcome and encouraged to join the council.